Balkan-Alti, N., 1994, LaNeolitbisution deI'Anatolie. Varia AnatolicaVolume 7. Institute Français d'Etudes Anatoliennes d'Istanbul. Benedict, P., 1980, Survey Work in Southeastern Anatolia. In Prehistoric Research in South eastern Anatolia I, edited by H. Gambel and R. Braidwood, pp. 151-191. Istanbul University, Faculty of Letters No. 2589, Istanbul. Gambel, H., and Braidwood, R., 1980, The Joint Istanbul-Chicago Universities' Prehistoric Research Project in Southeastern Anatolia. Comprehensive View: The Work to Date, 1963-1972. In PrehistoricResearch in Southeastern Anatolia I, edited by H. Gambel and R. Braidwood, pp. 33-64. Istanbul University, Faculty of Letters No. 2589, Istanbul. Collon, D., 1990, Subjective Reconstruction? The Çatal Höyük Wall Paintings. Hali 53:119-123. DeBoer, W., 1995, The Use of Anthropomorphic Figurines by Chachi Shamans. Paper delivered at the annual meeting of the Society for American Archaeology, Minneapolis, May 3-7, 1995. Eiland, M., 1993, The Past Re-made: The Case of Oriental Carpets. Antiquity 67:859-863. Ellis, R., and Voigt, M., 1982, 1981 Excavations at Gritille, Turkey. American Journal ofAr-chaeology 86(3):319-332. Esin, U., 1998, The Aceramic Site of Asikli and Its Ecological Conditions Based on Its Floral and Faunal Remains. Tüba-Ar 195-104. Esin, U., 1995, Early Copper Metallurgy at the Pre-Pottery Site of Asikli. Readings in Prehis-toy:Studies Presented to Halet Gambel, pp. 61-77. Graphis, Istanbul. Esin,U., 1993, Zum Ursprung der Kastenbauweise in Anatolien. IstanbulerMitteilungen 43:123128. Fagan, B., 1998, People of the Earth: An Introduction to World Prehistory. Longman, New York. Forest, J. D., 1994, Towards an Interpretation of the Çatal Höyük Reliefs and Wall Paintings. 1993 YiliAnadolu MediniyetleriMüzesi Konferanslari, pp. 118-136. Museum of Anatolian Civilizations, Ankara. Forest, J. D., 1993, Çatal Höyük et son Decor: Pour le Dechiffrement d'un Code Symbolique. Anatolia Antiqua 2:1-42. Garfinkel, Y., 1995, Human andAnimalFigurines ofMunhata (Israel). Les cahiers des Missions Archélogiques Françaises en Israel No. 8. Gates, M. H., 1997, Archaeology in Turkey. American Journal ofArchaeology 101:241-305. Hamilton, N., 1996, Figurines, Clay Balls, Small Finds, and Burials. In On the Surface: Çatalhôyûk 1993-1995, edited by I. Hodder, pp. 215-263. McDonald Institute of Archaeological Research and the British Institute of Archaeology at Ankara, Cambridge. Hauptmann, H., 1997, Nevall Çori. The Oxford Encyclopedia ofArchaeology in theNearEast 4: 131-134. Hauptmann, H., 1993, Ein Kultgebäude in Nevall Çori. In Between the Rivers and over the Mountains, edited by M. Frangipane, H. Hauptman, M. Liverani, P. Matthai, and M. Mellink, pp. 37-69. Universiti di Roma la Sapienza, Rome. Hauptmann, H., 1988, Nevall Çori. Arkitektur. Anatolica 15:99-110. Hauptmann, H., 1987, Nevali Çori. Anatolian Studies 37:206-207. Hodder, I., 1996, Conclusions. In On theSurface: Çatalhôyûk 1995195, edited by I. Hodder, pp. 359-366. McDonald Institute of Archaeological Research and the British Institute of Archaeology at Ankara, Cambridge. Hodder, I., 1990, The Domestication ofEurope: Structure and Contingency in Neolithic Societies, Basil Blackwell, Oxford. Hodder, i., 1987, Contextual Archaeology: An Interpretation of Çatal Hüyük and a Discussion of the Origins of Agriculture. Bulletin ofthe Institute ofArchaeology 24:43-56. Knapp, A. B., and Meskell, L., 1997, Bodies of Evidence on Prehistoric Cyprus. Cambridge ArchaeologicalJournal 7(2): 183-204. Kulaçoglu B., 1992,AnadoluMedeniyetleriMüzesi Tanrilarve Tanriçilar.T. C. Kültür Bakanligi, Anitlar ve Müteler Genel Müdürlügü, Ankara. Mellaart,J., 1990,The Earliest Representations of the Goddess of Anatolia and Her Entourage. In Anatolische Kelims: (Symposium Basel), die Vorträge.edited by J. Rageth, pp. 27-46. Galerie Rageth, Basel. Mellaart, J., 1970,Excavations at Hacilar. British Institute of Archaeology at Ankara Occasional Publications 9-10. Mellaart, J., 1967, A Neolithic Town in Anatolia. McGraw-Hill, New York. Mellaart, J., 1966, Excavations at Çatal Hüyük 1965: Fourth Preliminary Report, Anatolian Studies 16:165-191. Mellaart, J., 1964, Excavations at Çatal Hüyük 1963: Third Preliminary Report. Anatolian Studies 14:39-119. Mellaart, J., 1963, Excavations at Çatal Hüyük 1962: Second Preliminary Report. Anatolian Studies 13:43-103. Mellaart, J., 1962, Excavations at Çatal Hüyük First Preliminary Report, 1961. Anatolian Studies 12:41-65. Mellaart, J,,Hirsh, U., and Balpinar, B., 1989, The Goddessfrom Anatolia. Eskenazi, Milan. Mellink, M., 1992, Anatolia. In Chronologies in Old World Archaeology, edited by R. Erich, pp. 107-220. University of Chicago Press, Chicago, Illinois. Morales, V. B., 1990, Figurines and Other Clay Objectsfrom Sarab and Qayönü. Oriental Institute Communications No. 25. The University of Chicago, Chicago, Illinois. Morales, V. B., 1983,Jarmo Figurines and Other Clay Objects. In PrehistoricArcheologyalong theZagrosFlanks, edited by L. Braidwood, r. J. Braidwood, B. Howe, C. A. Reed, and P. J. Watson, pp. 369-423. The University of Chicago Oriental Institute Publications, Volume 105. The University of Chicago, Chicago, Illinois. Nickerson, J., 1979, The Study, Analysis, and Interpretation oftheHuman andAnimalFigu-rinesfrom Tal-eMalyan (Anshun), Iran. B.A. thesis, Ohio State University. Özdogan, A,, 1995, Life at Çayönü during the Pre-Pottery Neolithic Period (according to the artifactual assemblage). 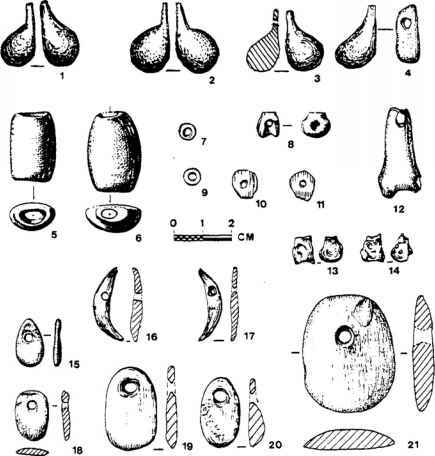 In Readings in Prehistoy:StudiesPresented toHalet Gambel, pp. 79-100. Graphis, Istanbul. Özdean, M., in press, Buildings of Cult and Cult of Buildings. In Halet ÇambelFestschrift, edited by G. Arsebük and W. Schirmer. Graphis, Istanbul. Özdogan, M., 1997a, Anatolia from the Last Glacial Maximum to the Holocene Climatic Optimum: Cultural Formations and the Impact of the Environmental Setting. Paléorient 23(2):25-38. Özdogan, M., 1997b^ayönü. TheOxfordEncyclopediaofArchaeology intheNearEast 1:444446. Özdogan, M., 1996, Obsidian in Anatolia: An Archaeological Perspective on the Status of Research. In Archaeomety94, edited by S. Demirci, A. Özer, and G. Summers, pp. 423431. Proceedings of the 29th International Symposium on Archaeometry, Ankara, May 914, 1994. TÜBITAK,Ankara. Özdogan, M., 1995, Neolithic in Turkey-The Status of Research. Readings in Prehistory: Studies Presented to Halet Çambel. Graphis, Istanbul. Özdogan, M. and Özdogan, A,, 1990, Çayôn^ A Conspectus of Recent Work. Paléorient 15(1):387-396. Özdogan, M., Özdogan, A., Bar-Yosef, D., and van Zeist, W., 1994, Çayönü Kazisive Güneydogu Anadolu Karma Projesi: 30 Yillik Genel Bir Degerlendirme,XVKazi SonuçIari Toplantisi 1:103-122. Schmidt, K., 1997, "News from the Hilly Flanks": Zum Forschungsstand des obermesopotamischen Frühneolithikums. ArchâologischesNachrichtenblatt 2(1):70-79. Schirmer, W., 1988, Zu den Bauten des Qayönü Tepesi. Anatolica 15:139-159. Schirmer, W., 1983, Drei Bauten des Qayönü Tepesi. In Beiträge zur Altertumskunde Kleinasiens: Festschriftfür Kurt Bittel, edited by R. Boehmer and H. Hauptman, pp. 463476. Von Zabern, Mainz am Rhein. Stein, G., 1989, Strategies of Risk Reduction in Herding and Hunting Systems of Neolithic Southeast Anatolia. In Early Animal Domestication and its Cultural Context, edited by P. Crabtree, D. Campana, and K. Ryan, pp. 87-97. MASCA Research Papers in Science and Archaeology, Special Supplement to Vol. 6. Stein, G., 1986, Herding Strategies at Neolithic Gritille. Expedition 28(2):35-42. Talalay, L., 1993, Deities, Dolls, and Devices: Neolithic Figurinesfrom Franchthi Cave, Greece. Excavations at Franchthi Cave, Greece Fascicle 9. Indiana University Press, Bloomington and Indianapolis, Indiana. Türe, Fatma (Project Coordinator) et al., 1999,Aufder Suche nach Verschwundenen Zeiten: Die Ausgrabungen des Deutschen Archaologischen Instituts in der Türkei. Istanbul: Yapl Kredi Kültür Sanat Yayincilik, for the Yapi Kredi Bankasi A.S.
Ucko, P., 1968, Anthropomolphic Figurines ofPredynastic Egypt and Neolithic Crete with Comparative Material from the Prehistoric Near East and Mainland Greece. Royal Anthropological Institute Occasional Paper No 24. Andrew Szmidla, London. Ucko, P., 1962, The Interpretation of Prehistoric Anthropomorphic Figurines. Journal ofthe Royal Anthropological Institute 92:38-54. Voigt, M., 1983, HajjiFiruz Tepe, Iran: The Neolithic Settlement. Hasanlu Excavation Reports, Volume i. University Museum Monograph No. 50. The University of Pennsylvania Museum of Archaeology and Anthropology, Philadelphia. Voigt,M., 1985,Village on the Euphrates: Excavations at Neolithic Gritille, Turkey. Expedition 27(1): 10-24. Voigt, M., 1988, Excavations at Neolithic Gritille. Anatolica XV:215-232. Voigt, M., 1990, Reconstructing Neolithic Societies and Economies in the Middle East: An Essay. Archaeomaterials 4(1): 1-14. Voigt, M., 1991, The Goddess from Anatolia: An Archaeological Perspective. Oriental Rug Review 11(2):32-39. Voigt, M., and Ellis, r., 1981, Excavations at Gritille, Turkey: 1981.Paleorient 7(2):87-100.